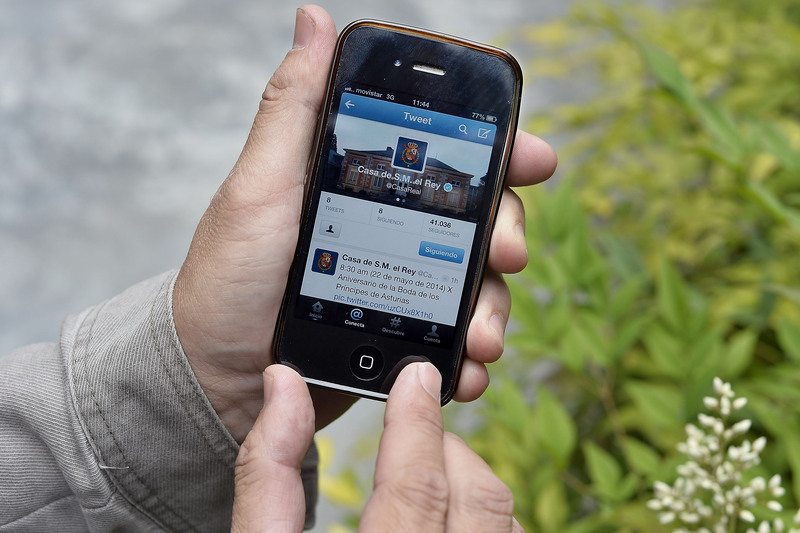 In the nine years since its initial launch, Twitter has become so ubiquitous as to simply be a part of online life. But are you aware that there are a number of hidden Twitter features you may not know about? Sure, the microblogging app makes it easy to keep up with celebrity feuds (I'm looking at you, Drake and Meek Mill and Taylor Swift and Nicki Minaj), keep a finger on the pulse of pop culture, take part in important activist movements, and get up-to-the-minute news. Even so, though, you might not be getting the most that you can out of your Twitter experience. That's why I've comprised a list of some features that have been flying under the radar — but which will make your tweets that much better. Twitter, as you may (or should) know, is a social network that allows you to send out messages of no more than 140 characters, forcing people to streamline their thoughts and pick the most efficient way to convey them. The website has about 302 million active users all over the world; though we tweet a lot in the United States, the top countries using Twitter are actually Indonesia, Brazil, Venezuela, Netherlands, and Japan. But regardless of where you're logging into Twitter, you'll want to keep these four Twitter secrets up your sleeve. They'll up your game in a big way — and we'd all love to have a few extra followers, right? 1. You can schedule a tweet. Got something to say, but don't really want to say it until later? Twitter's ad website can help you with that. Simply log into the site, click "Compose Tweet," type in your oh-so-important feelings, and click the "scheduling" tab for posting options. 2. Keyboard shortcuts are a thing on Twitter. Feeling particularly efficient? When you're on Twitter, certain keyboard shortcuts will enable you to make commands that may have taken more effort otherwise. 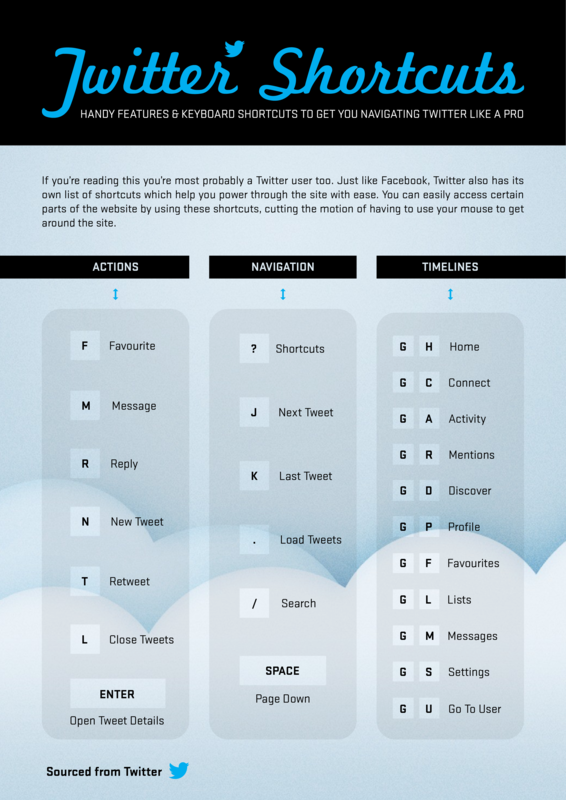 For example, if you want to reply to a tweet, you can just press "R"; if you want to retweet something, you can press "T"; and favoriting a tweet just requires an "F." Check out this infographic by James Traf, which gives you an extensive list of useful keyboard shortcuts. 3. Analyze the content on your Twitter. Want to see how engaged people are with your tweets? Twitter will actually give you a free 28-day summary of your feed, showing you your top tweets, how many followers you've earned, and where you could improve your Twitter game. It's the ultimate data-based tool to keep track of your social media performance. 4. Pin a tweet to the top of your tweets. Just like Facebook, Twitter lets you pick your favorite tweet and pin it to the top of your personal page. Just find a tweet you like, click the three ellipses next to the "favorites" star, and select "pin to profile page" to stick it to the top of your Twitter page. Tired of seeing it up there? To undo the pin, click the same ellipses symbol and select "unpin from profile page." Voilà! So go out and conquer, young tweeters. Turns out, there are ways to make a pretty efficient social media site even more efficient.